Locating images that can be re-used, modified and incorporated into commercial or non-commercial projects is always a hot topic on my search workshops. As soon as we start looking at tools that identify Creative Commons and public domain images the delegates start scribbling. Yes, Google and Bing both have tools that allow you to specify a license when conducting an image search but you still have to double check that the search engine has assigned the correct license to the image. There may be several images on a webpage or blog posting each having a different copyright status and search engines can to get it wrong. 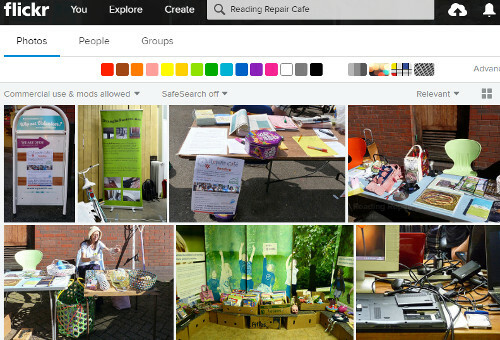 Flickr’s search also has an option to filter images by license and there are sites that only have Creative Commons photos, for example Geograph. But the problem is that you may have to trawl through several sites before you find your ideal photo. 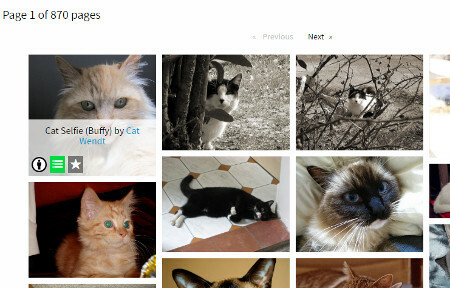 Creative Commons has just launched a new image search tool that in theory would save a lot of time and hassle. You can find some background information on the service, which is still in beta, at Announcing the new CC Search, now in Beta. The search screen is at http://ccsearch.creativecommons.org/. The Creative Commons collections are currently included in the search come from the Rijksmuseum, Flickr, 500px, New York Public Library and the Metropolitan Museum of Art. You can search by license type, title, creator, tags and collection. As well as search there are social features that allow you to add tags and favourites to objects, save searches, and there is a one-click attribution button that provides you with a pre-formatted text for easy attribution. There is also a list creation option. To make use of these functions you need to register, which at present can only be done via email. Hover over the image and you have options to Save to a list and to favourite it. It will also show you the title of the image and who created it. Click on the image and you are shown further information including tags together with a link that takes you to the original source. So far, so good although I did think it rather odd that the image should have tags for both norwegian forest cat and nebelung but assumed that perhaps the cat was a cross between the two. 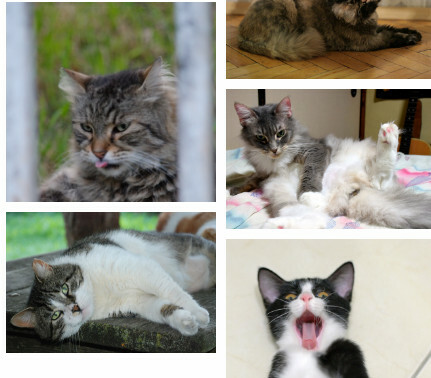 I decided to narrow down the search to norwegian forest cat, and this is where things started to go very wrong. There were a handful of cats but the rest seemed irrelevant. I put the terms inside quotation marks “norwegian forest cat”. It made no difference. I had a look at one of the non-cat images and the reason it had been picked up was that the creator called themselves Norwegian Forest Cat! So I unticked the options on the search screen for creator and title, leaving just the tags. At least the results were now cats but most did not look anything like norwegians. I looked at the tags for one of the short haired mogs. It seems that this is a very special creature. It is both a domestic long haired cat and a domestic short haired cat, a norwegian forest cat and a manx, a european shorthair and an american short hair. The creator of this photo must have had a brainstorm when allocating the tags, or perhaps Flickr’s automatic tagging system had kicked in? It does sometimes come up with truly bizarre tags. 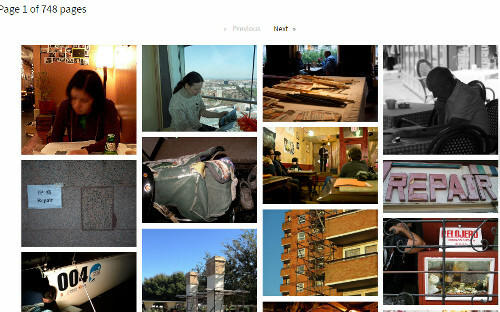 I clicked through to Flickr to view the original. The original tags were very different. The two sets had only cat, pet, and animal in common. I have no idea where the tags on the CC photo page had come from and could not find any information on how they had been assigned. This was repeated with all of the dozen images that I looked at in detail. 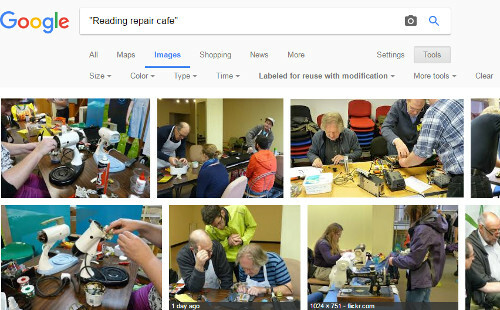 I decided to give up on cats and try one of my other test searches: Reading Repair Cafe. I know that there are about 75 images on Flickr that have been placed in the public domain. I know that because I took them. To make it easier on CC Search I choose to search titles and tags, and just the Flickr Collection. The results were total rubbish. Looking at the details of the photos it became clear that CC Search is carrying out an OR search. Phrase searching did not work and using AND just created a larger collection of irrelevant images. (I confess I gave up after trawling through the first 12 pages). After the cat experience I checked the tags on a few photos but no sign of Reading Repair Cafe anywhere. Bing also did an excellent job at finding the photos. 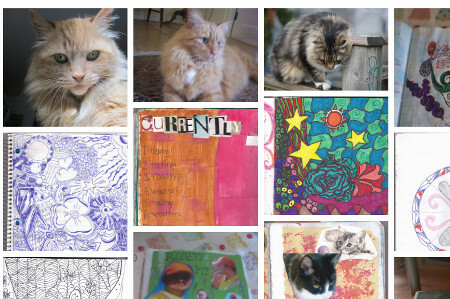 Admittedly, CC Image Search is a prototype and in beta so one would expect there to be a few glitches. However, glitches seem to be the norm. I ran several more tests and the main stumbling block is that it combines terms using OR. There is no other option or any commands one can use to change that. My second concern is where on earth do the tags on the CC Search photo pages come from? Most of them do not appear on the original source page and many are completely wrong. I’m afraid it is back to the drawing board for CC Search. Or how to seriously annoy intelligent people by telling deliberate lies. A story about renewable energy has been doing the rounds within my social media circles, and especially on FaceBook. It is an article from The Independent newspaper that has been eagerly shared by those with an interest in the subject. The headline reads “Britain just managed to run entirely on renewable energy for six days”. My first thought was that, obviously, this was complete nonsense. Had all of the petrol and diesel powered cars in Britain been miraculously converted to electric and hundreds of charging points installed overnight? I think that we would have noticed, or perhaps I am living in a parallel universe where such things have not yet happened. So I assumed that the writer of the article, or the sub-editor, had done what some journalists are prone to do, which is to use the terms energy and electricity interchangeably. Even if they meant “electricity” I still found the claim that all of our electricity had been generated from renewable sources for six days difficult to believe. Look below the headline and you will see that the first sentence says “More than half of the UK’s electricity has come from low-carbon sources for the first time, a new study has found.” That is more like it. Rather than “run entirely on renewable energy” we now have “half of the UK’s electricity has come from low-carbon sources” [my emphasis in both quotes]. But why does the title make the claim when straightaway the text tells a different story? And low carbon sources are not necessarily renewable, for example nuclear. As I keep telling people on my workshops, always click through to the original article and read it before you start sharing with your friends. The title on the source article is very different from the facebook version as is the subtitle. We now have the title “Half of UK electricity comes from low-carbon sources for first time ever, claims new report”, which is possibly more accurate. Note that “renewable” has gone and we have “low carbon sources” instead. Also, the subtitle muddies the waters further by referring to “coal- free”. If you read the article in full it tells you that “electricity from low-emission sources had peaked at 50.2 per cent between July and September” and that happened for nearly six days during the quarter. So we have half of electricity being generated by “low emission sources” but, again, that does not necessarily equate to renewables. The article does go on to say that the low emission sources included UK nuclear (26 per cent) , imported French nuclear, biomass, hydro, wind and solar. Nuclear may be low emission or low carbon but it is not a renewable. Many of the other newspapers are regurgitating almost identical content that has all the hallmarks of a press release. As usual, hardly any of them give a link to the original report but most do say it is a collaboration between Drax and Imperial College London. If you want to see more details or the full report then you have to head off to your favourite search engine to hunt it down. It can be found on the Drax Electric Insights webpage. Chunks of the report can be read online (click on Read Reports near the bottom of the homepage) or you can download the whole thing as a PDF. There is also an option on the Electric Insights homepage that enables you to explore the data in more detail. This just leaves the question as to where the FaceBook version of the headline came from. I suspected that a separate and very different headline had been specifically written for social media. I tested it by copying the URL and headline of the original article using a Chrome extension and pasted it into FaceBook. Sure enough, the headline automatically changed to the misleading title. Buried in the meta data of page and tagged “og:title” is the headline that is displayed on FaceBook. This is the only place where it appears in the code. The “og:title” is one of the open graph meta tags that tell FaceBook and other social media platforms what to display when someone shares the content. Thus you can have totally different “headlines” for the web and FaceBook that say completely different things. Compare “Britain just managed to run entirely on renewable energy for six days” with “Half of UK electricity comes from low-carbon sources for first time ever, claims new report” and you have to admit that the former is more likely to get shared. That is how misinformation spreads. Always, always read articles in full before sharing and, if possible, try and find the original data or report. It is not always easy but we should all have learnt by now that we cannot trust politicians, corporates or the media to give us the facts and tell the full story. Edited highlights from the presentations I gave at the WebSearch Academy on 17th October 2016 at the Olympia Conference Centre, London are now available on SlideShare. They are also available on authorSTREAM. These are selected slides from the presentations; if you attended the event and would like copies of the full sets please contact me. New Dimensions in Search: seeing, hearing viewing (takes you to authorSTREAM). Searching for images, video and audio. WebSearch Academy: If not Google then what? (takes you to authorSTREAM). Looks at alternatives to Google and some specialist tools. SlideShare options for both are given below. Google Verbatim on the way out? Update: 1st September 2016 – Verbatim seems now to be working as it should. I hope it stays that way but on three occasions this year I have seen it work one day, then not the next and then back to working again. We have become accustomed to Google rewriting and messing about with our searches, and dropping search features that are infrequently used. The one option that could control most of Google’s creative interpretation of our queries was Verbatim but that now looks as though it could be destined for the axe as well. A reminder of what Verbatim does. If you want to stop Google looking for variations on your terms, ignoring double quote marks around phrases, or dropping words from the search Verbatim is, or rather was, the quickest way to do it. If you are using a desktop or a laptop computer, run your search as normal. On the results page click on ‘Search Tools’ at the end of the line of options that appears at the top. Then, from the second line of options that should appear, choose ‘All results’ followed by Verbatim. The location of Verbatim on other devices varies. Verbatim has been invaluable when searching on titles of research papers, legislation or researching topics for which you expect or want to retrieve very few or zero results. You might be researching rare adverse events associated with a pharmaceutical drug or wanting to confirm that what you are about to patent has not already been published and is out there for all to see. Or the topic is so specific that you only expect to see a handful of documents, if that. So, sometimes, no or a low number of results is a good thing. But Google does not like zero or small numbers of results and that is when Google’s search rewrite goes into overdrive. I had noticed for a few months that Verbatim was not always working as expected but had hoped it was one of Google’s experiments. The problem has not gone away and the really confusing part is that Verbatim is still doing something but not what I would expect. I was working in Penryn in July and took the opportunity to wander around the place. Inevitably, I googled some of the sites I had seen for further information but one threw up the Verbatim problem. I was particularly interested in what looked like a memorial but didn’t have time to seek out information on site. Looking at the photo afterwards I can where the plaque was (to the right and next to the flagpole) but I missed it on the day. The memorial and garden commemorates 18 residents of Penryn who were killed during an air raid in May 1941. I did see a sign on the wall surrounding the area, though, telling me that it was “two” on the Penryn Heritage Trail. A quick, basic search told me that it is called the Memorial Garden but I wanted to find out more. 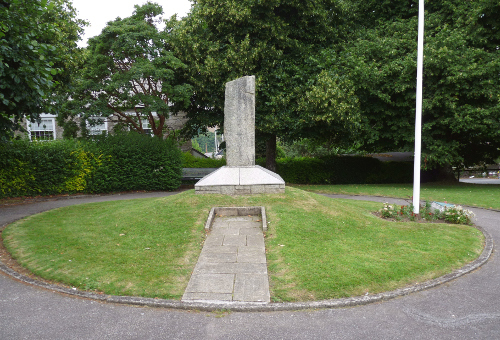 I searched on Penryn memorial garden heritage trail. This gave me 15,900 results but Google had decided to leave out Penryn so I was seeing plenty of information about heritage trails but they were not all in Penryn. I prefixed Penryn with intext: to force Google to include it in the search but then the word heritage was dropped. I applied Verbatim to the search without the intext: command. This gave me 732 results but even though I had applied Verbatim Google had dropped ‘memorial’ from the search. I prefixed memorial with intext: and got 1230 results with little change to the top entries. And no, I have no idea why there are more hits for this more specific search. I can only assume that other terms were omitted but I was not seeing that in my top 50. 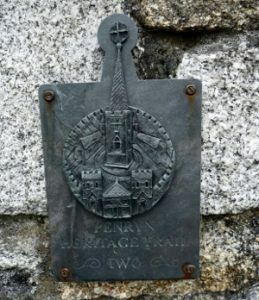 I then did what I should have done right from the start and searched on Penryn, and “memorial garden” and “heritage trail” as phrases. When Verbatim was applied this came back with 22 results but no detailed information about the garden. I started to tweak the search terms a little more. Verbatim would drop one, I would ‘intext:’ them and they were then included but I began to suspect that I was being too specific. So I dropped “heritage trail” from the search and cleared Verbatim: 19,300 results with all of the top entries being relevant and informative. This emphasises that it often pays to keep your search simple, and I mean really simple. Including too many terms, however relevant you may think they are, can be counter-productive. I would have realised earlier that my strategy was too complex had Verbatim behaved as I assumed it would and it had included all of my terms with no variations or omissions. I saw the same pattern with a few other searches. I also tested the searches in incognito mode, and both signed in and signed out of my Google account. There was very little difference in the results and Verbatim behaved in the same way. It looks as though Verbatim still runs your search without any variations on your terms or synonyms but that it now sometimes chooses to omit terms from some of the documents. To keep those terms in the search you have to prefix them with intext:. Double quote marks around the words are sometimes ignored. This is an unnecessary change and defeats the object of having an option such as Verbatim. More worrying, though, is that Google obviously thinks Verbatim needs “fixing”. But what it has done is to make the option more difficult to use, which in turn will result in people using it less often than they do already. And if Google sees that use is decreasing it will simply get rid of it altogether. Time to swot up on the few remaining Google commands, or use a different search tool. If you are interested in learning more I am running workshops about Google and alternative search tools in September in London.